Also, don't forget to visit all of the other great blogs participating in the blog hop. I loved Mockingbirds. Really looking forward to The Rivals. i've been waiting for the rivals after recently reading and loving mockingbirds. thanks for the giveaway! YAY. I have the library's copies for these, just checked them out, and I have a very distinct feeling that I'm bound to like them. I'm hoping to own them! excited about your giveaway- thanks!! I've heard so many good things about these books. Thanks for the giveaway. Great giveaway! I've had the Mockingbirds on my TBR list and to be able to get both books is awesome! Awesome giveaway! These are both on my TBR list. Thanks for the giveaway. Both books look really good. Thanks for the giveaway! I have both of these on my TBB list. Oh wow thes books look intriguing! I would love to read them. :) Great giveaway!! This sounds interesting! The covers are cute too. Thanks for the giveaway! Thanks for the great giveaway.. always interested in new books! Wow, thank you so much for this giveaway! I haven't read anything by this author, so I think it would be great to finally meet her reading those two books. I love the cover of these books. Thanks for offering! Awesome giveaway - I've been wanting to read these for a while, but I realized about a week ago that The Mockingbirds wasn't on my Goodreads to-read list! Glad I got that fixed! i've been meaning to read the mockingbirds. thanks for the giveaway! The covers are great! Makes me want to see inside! Great giveaway - I have been meaning to read The Mockingbirds so this was a great reminder about this book. Thanks for the giveaway. I have never read a review of these books. I've seen them around, but I guess I'll have to go see what people are saying. Thanks for the giveaway. I love the covers of these books. I love these covers wish they never changed them! Thank you for the giveaway! Hope you are having a good time too. I enjoyed The Mockingbirds and am curious to find out what Whitney does in the sequel. Should be interesting to see from the perspective of a member of the society this time. I've been meaning to read The Mockingbirds. Thanks for the chance! I would love to win these books!! I haven't read them yet but they are on my TBR list :) Thanks!! Interesting. Does the ARC have the old cover? I do like the new covers that they have for this series. Both seem like interesting books. Thanks for the chance to win. Thank you! I've been wanting to read both of these, so yay! These books look fabulous! Thank you for the giveaway! I love these covers, but the new ones are amazing. The type is gorgeous. Thanks for the giveaway! Thanks for the chance at a fantastic giveaway! These books look so good! Thanks, I haven't read either of these yet. Thank you for the giveaway. 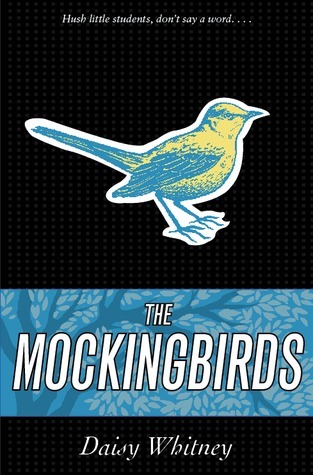 I haven't read either book but heard great things about The Mockingbirds. Ive been wanting to read these! Thanks for the giveaway, both books look rather interesting. 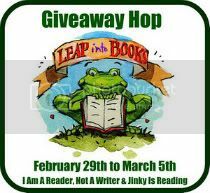 Thank-you for being a part of the giveaway-hop!These books look great. Thanks for participating in the giveaway hop! these books look great! Would love to start an interesting new series! Thanks! These books sound very interesting. Thanks for the giveaway. I was just reading great reviews on the Mockingjays book a few weeks ago. I have been wanting to read. Thanks for this great giveaway! Thank you for participating is this blog hop ... I am finding a lot of new authors and books to add to my TBR list ! Thanks !!! Cute covers!! :) Thanks so much! Like the covers...Thank you for the giveaway!! !